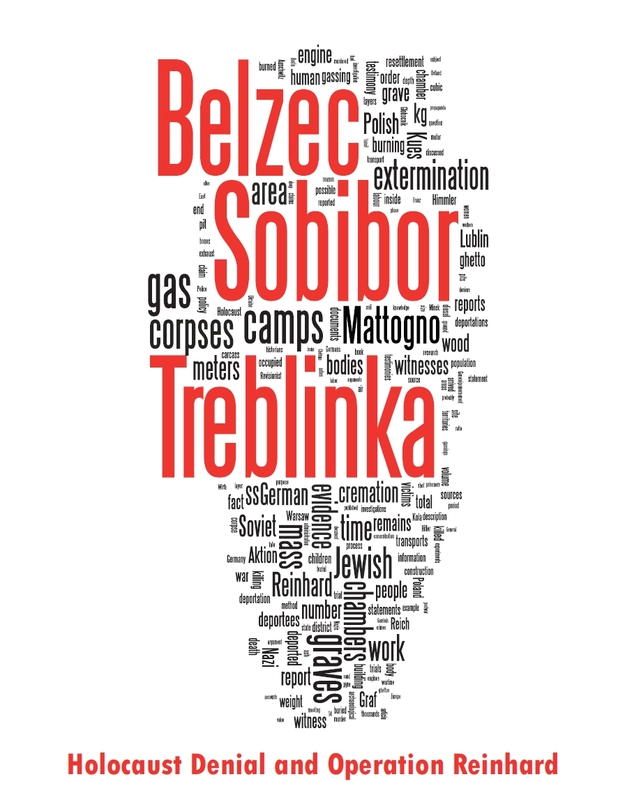 In his article The Maly Trostenets "Extermination Camp"—A Preliminary Historiographical Survey, Part 2, anomaly-hunter Thomas Kues points out «a few oddities and contradictions pertaining to the alleged use of "gas vans" at Maly Trostenets». From an exterminationist point of view this can only refer to the handling of the Jewish convoys arriving in Minsk in the summer of 1942 that were allegedly exterminated in "gas vans" and then interred at the Blagovshchina site. Of course, even if accepted as genuine – and there are several question marks surrounding this and the associated telegrams collected in the Nuremberg file 501-PS49 – its homidical interpretation hinges on the interpretation that the term "Sonderbehandlung" ("special treatment") equals physical extermination. Holocaust denier Ingrid Weckert has claimed that this document is a forgery. The Gas Vans: A Critical Assessment of the Evidence http://codoh.com/found/fndwagon.html , 14-19. She states that the origins of the document are "unknown and dubious" because of two letters which she claims attest to two different origins of the document. I have obtained the full set of PS 501 from the United States National Archives. Her claim of a contradiction in the origins of the document is without foundation. It is based on two memos. The first one is dated April 26, 1945 from the 12th Army Group. It states that the documents which comprise PS 501 were found in a Reich Main Security Reserve depot in Bad Sulza, Germany and were being forwarded to Paris. The second document, dated September 7, 1945, is from the United States Office of the Chief Counsel for the Prosecution of Axis Criminality. It states that the source of the original was unknown and that the copy it had was obtained from the OCC in London, the British prosecution for war crimes. The most probable explanation for the September 7, 1945 memo is that the documents were passed along from Paris to the British, who then passed them along to the U.S. Chief Counsel to be used at the International Military Tribunal which prosecuted the war crimes. The U.S. Chief Counsel was probably not aware of who had discovered the documents and where they had been discovered. What is probable is that the Chief Counsel was not aware of the April 26 memo from the 12th Army which identified the source of the documents. Weckert tried to imply that the documents may have originated in Moscow, thus repeating a familiar denier claim that the Soviets forged evidence to incriminate innocent Germans. However, the April 26 document clearly shows that the Soviets had nothing to do with PS 501. The real issue raised by the April 26 and September 7 memos is that there was a communication problem between the various branches of the Allied powers, not that any forgery was involved. Weckert also claimed that there were three different copies of PS 501. She does not, however, reveal from where she obtained these copies. One set of copies she apparently received from the National Archives. I received photocopies of PS 501 from the National Archives and could not find some of the physical characteristics on the documents Weckert claims she found (i.e. archival numbering). Therefore, she appears to have obtained two other sets of these documents from a source other than the National Archives. However, she did not claim that any of the three copies differed in contents from one another. One of her complaints is that what she calls Specimen B, a carbon copy of the original, has certain notations on the exact same places as Specimen A, also a carbon copy of the original. She states that this should not be the case because the notations would have been written after the receipt of the memos which comprise PS 501. Therefore, she claims there should only be writing on Specimen A. The idea is apparently that the notations were not written on the original copy. The obvious answer is that either (1) the notations were written on the original copy or (2) Specimen B is a copy of Specimen A. In fact, we can be absolutely certain that if the notations did not appear on the exact same places on both sets of documents, Wechert would claim PS 501 to be a forgery on that basis. The translation of Becker’s statement on 26.3.1960 in The Good Old Days is transcribed in the HC forum’s thread Statement by August Becker, Ph.D., Gas-Van Inspector. In this statement Becker essentially confirmed the contents of the telegram dated 15 June 1942 quoted by Kues, by mentioning that, as he had learned from Standartenführer Potzelt in Riga, "the Einsatzkommando operating in Minsk needed some additional gas vans as it could not manage with the three existing vans it had". The concerns that Becker, according to this statement, expressed to Major Pradel during a private conversation in Berlin ("I described to Pradel the working method of the gas-vans and voiced criticism about the fact that the offenders had not been gassed but had been suffocated because the operators had set the engine incorrectly"), were also among the subjects of a 3-page letter that Becker sent to Rauff from Kiev on 16.5.1942. An original of the letter with Becker’s signature is kept in the US National Archives, and the letter’s first and third pages can be viewed in the National Archives Collection of World War II War Crimes Records, 1933 – 1949 on the page Report from SS (Schutzstaffel) Lt. Dr. August Becker to SS Lt. Col. Walter Rauff, 05/16/1942. The letter’s entire text can be read in a copy of the original that is part of Harvard Law School Library Item No. 2459, which also contains a copy of the telegram dated 15.6.1942 quoted by Kues. A translation of Becker’s letter to Rauff is included in Harvard School Library Item No. 176, partial translations can be found in Nazi Conspiracy and Aggression Volume 1, Chapter XII and in the records of several Nuremberg Trial sessions. In a statement made on 19 October 1945, Rauff expressly confirmed as genuine "the attached letters, written by Dr. Becker (Lieut.) on 16 May 1942 and received by me on 29 May 1942"; during a later deposition before the Embassy of the German Federal Republic in Santiago, Chile, on 28 June 1972, Rauff again referred to this letter as follows: "It is correct that I received something from Becker about the use of gas vans. I myself had told Becker to send me a corresponding report." The application of gas usually is not undertaken correctly. In order to come to an end as fast as possible, the driver presses the accelerator to the fullest extent. By doing that the persons to be executed suffer death from suffocation and not death by dozing off as was planned. My directions now have proved that by correct adjustment of the levers death comes faster and the prisoners fall asleep peacefully. Distorted faces and excretions, such as could be seen before, are no longer noticed. It is mainly this statement that makes it impossible for "Revisionists" to argue against the letter’s incriminating content and reduces them to squealing "forgery". Kues refers to a forthcoming "Revisionist" publication (The Gas Vans: A Critical Investigation, by one Santiago Alvarez) that presumably includes the "forgery" claim like just Weckert’s writings did. If so, let’s hope for Mr. Alvarez that he squeals more convincingly than Mrs. Weckert – or, for that matter, than Mr. Kues when challenging the authenticity of the Arlt reports. Now to the demand for a fourth gas van expressed in the telegram of 15 June 1942, which Kues claims is "rather odd" considering that, according to his calculations, the Chełmno extermination camp "allegedly" killed more than twice as many people in a day with 2 to 3 gas vans in March 1942 (797) than were dispatched in a week by 3 gas vans at Trostenets prior to 15 June 1942 (317). There are several fallacies in Kues’ contention. First of all, Kues’ "per day" at Chełmno vs. "per week" at Trostenets juxtaposition is misleading. As is known from the Arlt reports and the evidence mentioned in the judgment LG Koblenz v. 21 Mai 1963, the Jews arriving at Minsk or Trostenets once a week were killed on the day of their arrival, and not over the period of one week. Thus the gas van capacity had to be dimensioned for killing up to 950 people in a single day. Kues tries to pull the wool over his readers’ ears. Second, the gas vans used at Chełmno were larger on average than those available to the KdS Minsk. According to the testimony of Johann I. on 26 February 1962 (quoted in Adalbert Rückerl, NS-Vernichtungslager im Spiegel deutscher Strafprozesse, p. 272), gas vans arrived at the camp’s body disposal site (the so-called Waldlager or forest camp) 5 to 10 times a day with 50 corpses in a "smaller" gas van and 70 corpses in a "larger" one each time. The witness Walter Burmeister (quoted in Kogon/Langbein/Rückerl et al, Nationalsozialistische Massentötungen durch Giftgas, p. 114) mentioned two "medium-heavy" (mittelschwere) Renault trucks, plus a "heavy" truck additionally used for some time. According to the Koblenz District Court’s aforementioned judgment, on the other hand, two of the three vans available to the KdS Minsk in June 1942 were of the smaller "Diamond" type while only one was a larger Saurer van. The Saurer van carried 50 to 60 persons, whereas the Diamond vans carried 25 to 30 (Kogon et al, as above, p. 84). Third, there were some important difference between conditions under which gas vans were operated at Chełmno on the one hand and the conditions under which they were operated in the Soviet Union on the other. At Chełmno, the gas vans were used as stationary killing devices that never traveled great distances. The only trips they made were those that took the victims’ bodies from the killing ground at the empty Chełmno manor house known as the "palace" (Schloß) to the Waldlager, which was about 4 km away from Chełmno (Rückerl, as above, pp. 259-262), over roads that were presumably in better conditions than those in the Nazi-occupied Soviet territories. 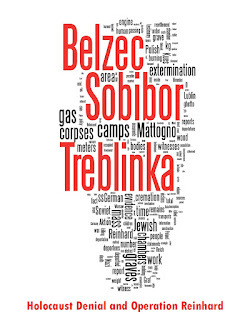 If three vans with the capacities mentioned in Johann I.’s testimony were used, and if each van made only 5 trips per day, the daily capacity of Chełmno extermination camp was 850 dead. Thus the Chełmno camp managed to "process" a total of about 55,000 Jews from the Łódź ghetto between 16 January and 15 May 1942 – 10,003 in January, 7,025 in February, 24,695 in March, 2,353 in April and 10,914 in May (see the translated excerpt from the Bonn District Court’s judgment of 30 March 1963 in my RODOH post of 8-Apr-2007 18:12). Even during the most intensive month March 1942, the average number of people killed per day at Chełmno was below the capacity calculated above. Conditions in the Soviet Union were much less favorable to the use of gas vans, as becomes apparent from Becker’s letter to Rauff dated 16 May 1942. Becker mentioned that in rainy weather the heavier Saurer van would simply skid away (presumably due to the deplorable state of the roads) and that the rough terrain and "the indescribable road and highway conditions" regularly called for repair works during which the respective van was not available for operation. The round trip distance that the Trostenets vans had to cover was furthermore somewhat larger (about 20 kilometers according to Christian Gerlach, Kalkulierte Morde, footnote 1447 on page 767) than the 8 kilometers traveled by the Chełmno gas vans to and from the Waldlager. This means that it was more difficult for the Trostenets gas vans to do the same number of daily trips as the gas vans at Chełmno, and that one or more vans being out of order was a likelier occurrence at Trostenets than at Chełmno (thus making a reserve van seem recommendable). Fourth, while Kues obviously assumes that at most one-third of those killed from an average transport (317 out of 950) were gassed while the other two-thirds were shot, it is not a given that regarding all transports from abroad to Trostenets the primary killing method was shooting. Gas van driver Gnewuch (quoted in Kogon et al, as above, p. 90) testified about the processing of 12 transports (obviously such that arrived at Minsk/Trostenets), stating that he had made 5 to 6 trips with his gas van on each occasion and pointing out that, while some of the Jews had been shot, he himself had not shot but only gassed Jews. If one Saurer van and two Diamond vans were used in the processing of each transport mentioned by Gnewuch, the larger van killed between (5x50=) 250 and (6x60=) 360 people, the smaller ones between (5x2x25=) 250 and (6x2x30=) 360 people, for a total of 500 to 720 gassed victims. Even the higher capacity would not be sufficient to kill 950 people from a transport within one day, thus calling for either an increase of gas van capacity or the shooting of those deportees who couldn't be handled by the gas vans. Finally, even if Gnewuch exaggerated the number of transports he helped to process as a gas van driver, the capacity of each gas van trip was lower than the minimum assumed above and the gas vans’ shortcomings led the killers to eventually continue giving preference to shooting (as mentioned in the Koblenz judgment, the delays caused by cleaning the vans and the frequent malfunctions "may have been the reason why the vans were not always employed, so that the shootings of Jews continued"), this doesn’t rule out that at the time of the telegram quoted by Kues (on 15 June 1942, shortly after gas vans started being used in processing the transports to Minsk according to the Koblenz judgment) it was intended to wholly carry out with gas vans the killing of Jews deported to Minsk from abroad. With about 1,000 people arriving on each transport and 950 of them being killed, one Saurer van and two Diamond vans would indeed have been insufficient, as they could even under rare ideal conditions have processed three-quarters of those to be killed at most. So there was nothing odd about the request for a fourth gas van from the killers’ perspective at the time the request was made. Thus it looks like Kues tried to create a false dilemma here in order to discredit the telegram of 15 June 1942 and other evidence to the use of gas vans at the Trostenets killing site and the Chełmno extermination camp. Needless to say, such tricks speak volumes about his credibility as a researcher. Good read. I emailed you, btw.